Herbalife, one of the leading direct selling companies on health products, supports “Look and Feel Great Expo”, April 15-16, 2011, Market, Market, Taguig. Herbalife will hold Fashion Show of their Biggest Loser Winners, and give talk on “How to Live a Healthy Life” during the event. 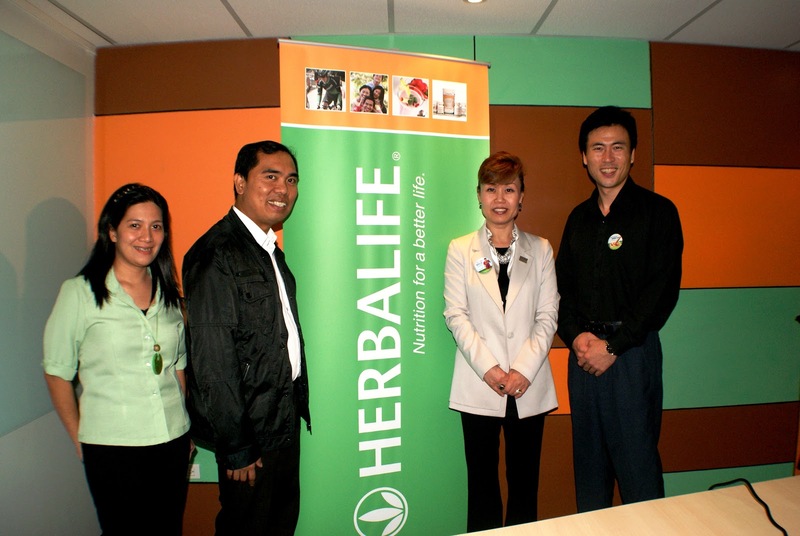 In photo (left to right) Ms. Cindy Manimtim, Exlink Sales Associate, Orly Ballesteros, Exlink Operations Head, Ms. Younghee Chung, VP and General Manager, Herbalife of Korea and Philippines, and Mr. Choonghoon Kim, Herbalife International Philippines Country Manager. “Look and Feel Great Expo is organized by Ex-link Management and Marketing Services Corporation. For more information, visit www.lookandfeelgreatevent.com.ph or call tel # 643-3887.